They’re father and son, bonded by war. Both of them, Marines. The father fought in Vietnam, during one of the most violent periods of that conflict. The son did the same in Iraq. For the longest time, the son only knew that his dad was Alvin Bert Grantham, or “A.B.” as he’s known, the wounded Marine on the tank in one of the most iconic photographs from the Vietnam War. The photo of A.B. Grantham was shot by award-winning photographer, John Olson. It was featured in the March 8, 1968 issue of “Life” magazine, and would come to symbolize the horrific fighting that took place in Hue City during the Tet Offensive. It wasn’t until the son, Joshua Grantham, fought as a Recon Marine in Iraq in 2004 and 2006, that father and son would finally solve the enigma of one another, revealing the haunting wartime past that had made the father a hero to his son, and unveiling the son’s reasons for following in the hero’s footsteps. 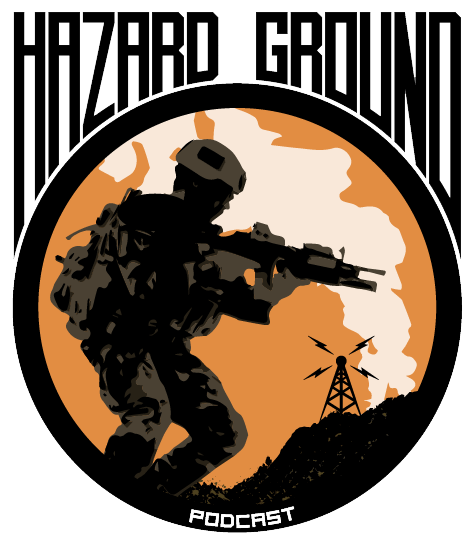 This is an amazing story of family, brotherhood, sacrifice, and raw human experience that we truly consider ourselves lucky to cover on the Hazard Ground Podcast!